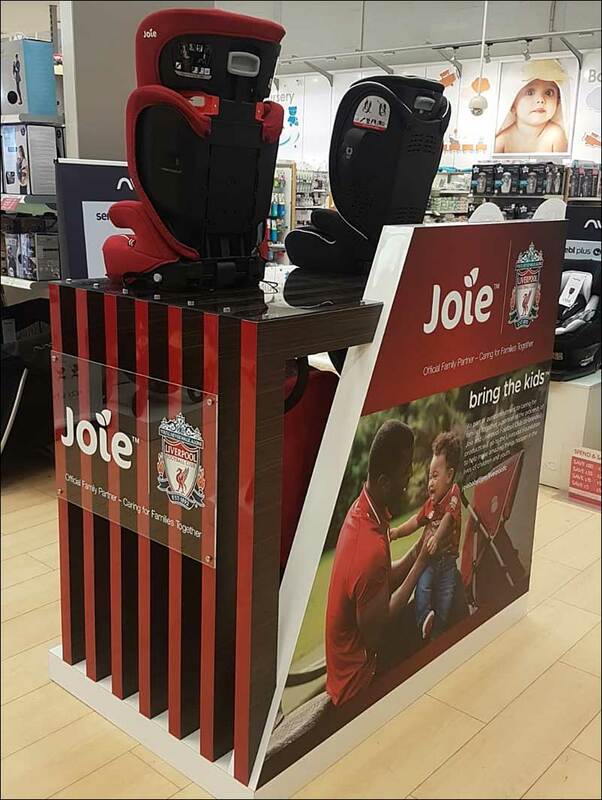 The stands are being used to present a special range of pushchairs and car seats as part of Joie’s partnership with Liverpool FC. Merit Display has teamed up with Joie to create a retail display with a Liverpool FC theme for young supporters. 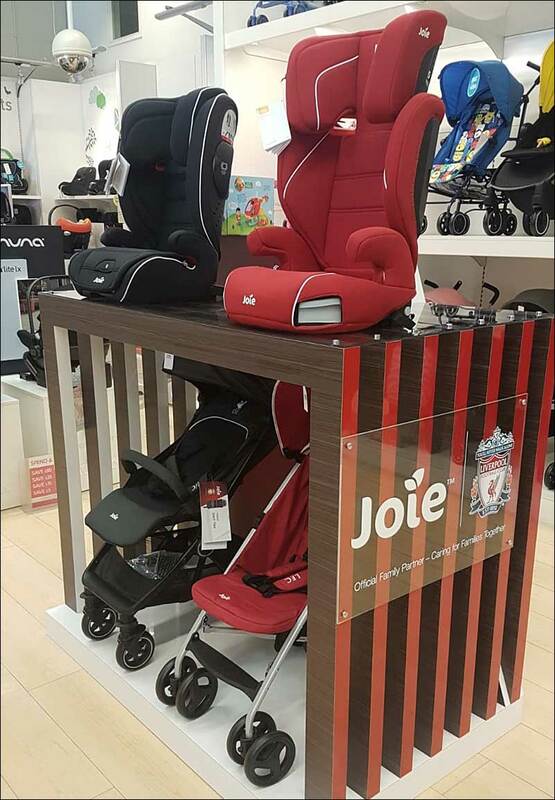 The stands are being used to present a special range of pushchairs and car seats as part of Joie’s partnership with Liverpool FC, with a portion of all proceeds going to the Liverpool Foundation charity. They can be found in five Mothercare stores in the Liverpool area. The Liverpool Foundation is the football club’s official charity with a mission to create life-changing opportunities for children and young people. The Joie collection of pushchairs and car seats is suitable for children from birth up to the age of 12 and has been designed with a distinctly Reds feel. Merit Display, based in Coventry, was commissioned to create a look and feel for the display stand that complemented the products. Merit Director Ronnie Mitchell said: “Initially, we built a prototype that was then adapted to suit the needs of the Mothercare environment. The Liverpool FC logo is used strongly but without overpowering the Joie brand.